Unbelievable! Christmas is here again! 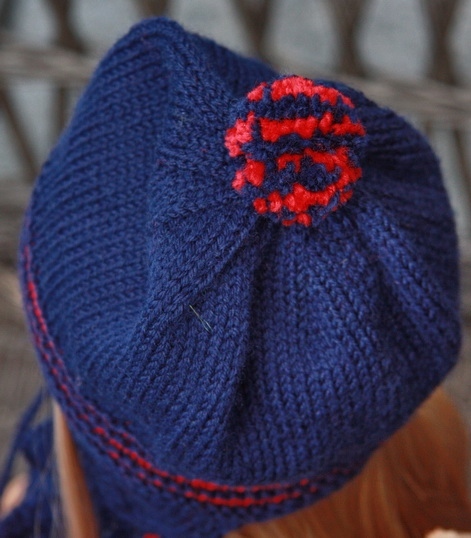 This time I have knitted a cap in red and blue together with a scarf and small mittens. 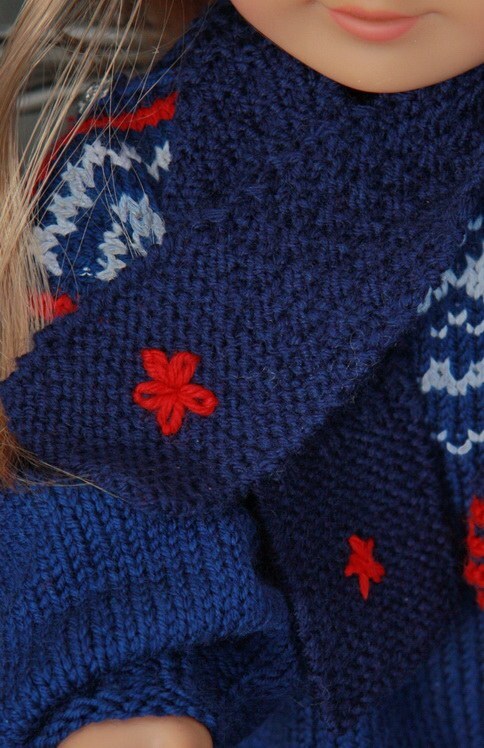 Lovely items for cold days. 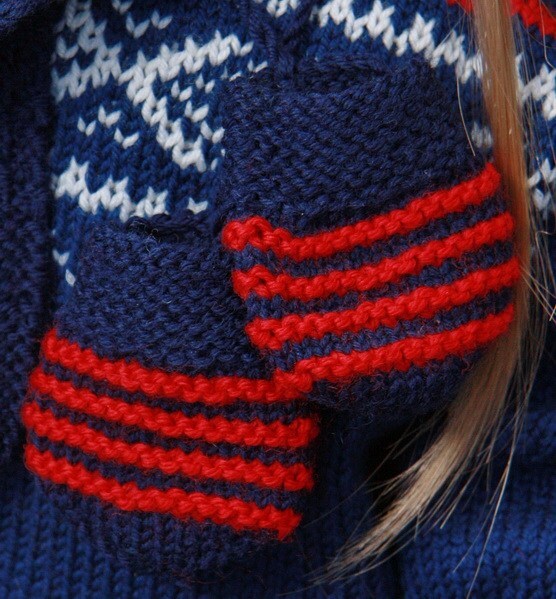 ... as a Christmas present to you can easily be combined with the Marius sweater. They have the same color. 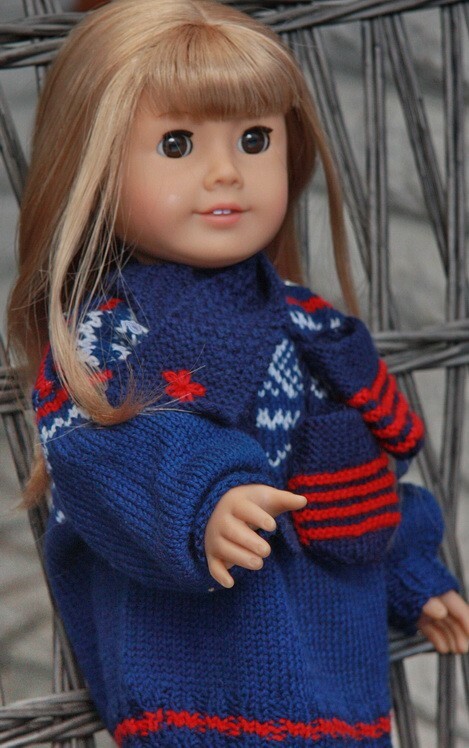 As I now have knitted a warm and soft scarf this can be nice to wear if the days are cold and your doll is dressed in her lovely Marius sweater to be out. 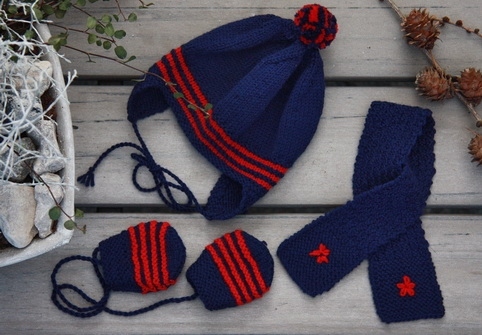 like these small clothes and enjoy knitting them! At last we will say Merry Christmas to all of you!